As the son of one of the biggest musical legends ever, you could have forgiven Jakob Dylan if he never even tried to follow in his father’s footsteps. 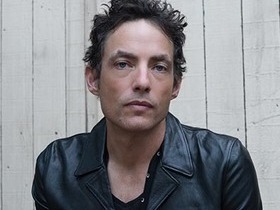 Jakob did however make a career of music and though he did not reach Bob’s levels, he had a very solid run with his band, the Wallflowers and with his Roots Rock music held his own against the biggest shadows of them all. Maybe there should be a Hall of Fame just for that. Should The Wallflowers be in the Hall of Fame? Buy your Tickets to see The Wallflowers at Ridgefield Playhouse in Ridgefield, CT HERE for as little as $149! Buy your Tickets to see The Wallflowers at The National in Richmond, VA HERE for as little as $70! Buy your Tickets to see The Wallflowers at Rams Head Live in Baltimore, MD HERE for as little as $72! Buy your Tickets to see The Wallflowers (16+) at Keswick Theatre in Glenside, PA HERE for as little as $82!